The cells in the body are made of protein. The body contains an estimated 30,000 differentkinds of protein. Protein is the building blocks of your hair, skin and nails. Where is protein found? Protein is found in meat and meat alternatives and dairy foods. There is some protein (~1g in fruit, some vegetables and varying levels in whole grains). Meat foods include: beef, chicken, pork, duck, turkey, fish and lamb. Meat alternatives include: eggs, tofu, nuts, chickpeas, lentils and beans. Dairy foods include: milk, yoghurt, cheese and dairy alternatives – such as calcium fortified soy milk. Primarily high protein dairy foods come from animals such as cows, goats and sheep. Nut milks such as: almond/macadamia/hazelnut or coconut milk are not good protein sources. How much protein do I need? Protein requirements change depending on the person, which are largely determined by certain health conditions, age, lifestyle and activity levels. The average adult needs 0.8-1g/kg of body weight. Where are carbohydrates found? Carbohydrates are found in all foods except meat, hard cheese and fat. So this includes: grain and grain products, starch vegetables, non-starch vegetables, fruit, some dairy – milk, yoghurt, custard, ice cream and alternatives, legumes (chickpeas, beans, lentils) and ‘discretionary’ or ‘treat’ foods. 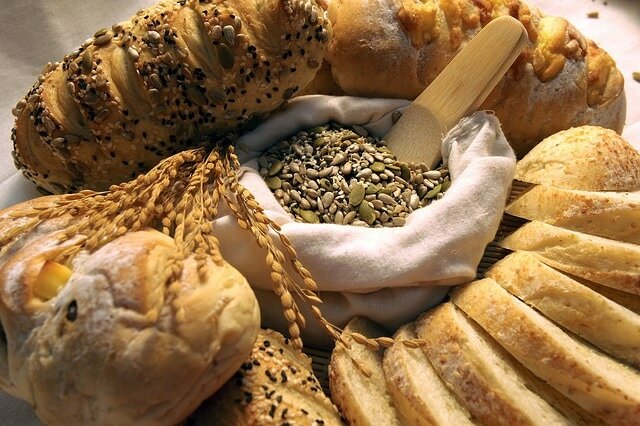 How many carbohydrates do I need? Carbohydrate requirements change depending on the person, which are largely determined by certain health conditions, age, lifestyle and activity levels. As per the Australian Dietary Guidelines, carbohydrate intake varies is between 45-55% of your daily diet. Where are fats found? 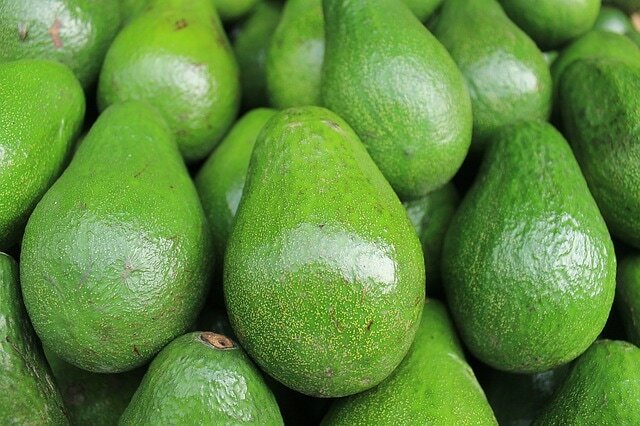 Fats are found in: oil, butter, avocado, meat and dairy products. There are different kinds of fats – such as saturated fat, trans fat and unsaturated fats. These affect your cholesterol. How many fats do I need? Fat requirements change depending on the person, which are largely determined by certain health conditions, age, lifestyle and activity levels. An average adult needs 25-35% of their diet from fats. An Accredited Practising Dietitian can provide you with your protein, carbohydrate and fat goals for the day. If you'd like more information, please contact me for a consult. ​Protein. The building blocks of muscles, cells, organs and every cell of the human body. Protein is a hot topic in the world of nutrition. Protein are long chains of amino acids that are broken down in the body to build and repair the aforementioned cells. Protein is abundant in foods, however is particularly found in meat, dairy and protein supplements. Protein is no issue for the general population. However, for those that have had weight loss surgery, protein needs are higher to prevent muscle breakdown, hair loss and to ensure all body cells receive enough protein daily. I talk all day about getting enough protein with my patients. Here are some easy tips that you can implement today to improve your protein intake after weight loss surgery. Sit down on Sunday night and plan your meals for the week ahead. It is important that you choose the meat or dairy foods first to make sure that you are making those foods a priority. The stomach is very small after surgery, which means you have to be clever about what foods you choose to eat first. ​Choose snacks that help you reach your protein intake. Snacks should be smaller meals and should turn turn into graze sessions. Aim to have snacks to be more than 10g of protein to have a significant impact on your daily protein intake. Be consistent with your protein intake. To prevent deficiencies in protein, you need to make sure that you’re not only eating enough protein on one day of the week, but all days. This will prevent your hair from falling out and your muscles breaking down. We hope this helps you improve your protein intake. For more personalised diet advice, please contact us for a consult or purchase a diet analysis today! Why is a dietitian important post-bariatric surgery? Having a gastric sleeve, lap-band, Roux-en-Y Bypass or Mini Bypass or even a SIPS/SADI procedure, does not automatically ensure that you have adequate nutrition after your surgery. All of these different procedures require different nutrients after your procedure, which means you need individualised advice. Dietitians are university qualified professionals that are adequately equipped with the latest evidence based research to help you through your bariatric or weight loss surgery journey. Dietitians tailor the research to suit you. There are different dietitians, just as there are different types of doctors. ​Dietitians may have a special interest or field. For this reason, it is important that you choose a dietitian that would help you towards your nutrition goals. 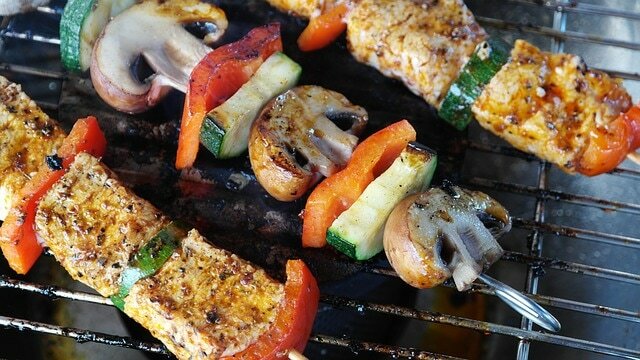 ​For myself personally, bariatric nutrition is my special interest. I have seen and helped thousands of patients reach their goals after weight loss surgery. My role is to ensure that you are well equipped with the knowledge you need before you make the life-changing decision; provide you with your pre-surgery diet and arm you with the knowledge of what to expect after your procedure. I then also help you through the different diet progressions after your procedure, give you new food ideas to trial and ensure that you’re not getting any nausea/vomiting/pain or issues with your bowels. Dietitians also prevent and treat nutrient deficiencies by recommending products to prevent these from arising. Life is very different after the surgery. The surgeon’s role is completed after your procedure. A dietitian is life-long to help you reach and continue to maintain your success. If you’re in need of a bariatric dietitian, feel free to contact myself for an appointment. If you’re rural or interstate or short for time to come in to the rooms, phone and Skype consults are available. 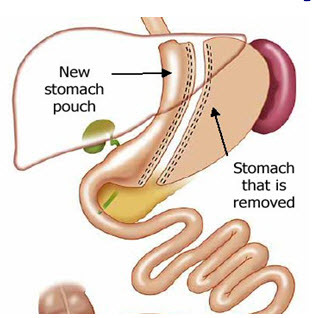 Gastric bypass surgery is when the surgeon makes a small pouch out of the stomach and reconnects it to the small intestine. The stomach remains intact (ie. it is not removed from the body), however there is a small pouch (30-40mls) - the size of an egg, that prevents too much food or fluid being consumed. The new stomach is attached to the middle of the small intestine. This allows some mis-match absorption of foods and restricts the food allowed into the stomach. This leads to greater suppression of hunger and appetite and subsequent weight loss. With less food being absorbed, there is a greater need of vitamin and mineral supplements. Diabetes remission - diabetes is never reversed, the symptoms dissipate, meaning that diabetes is in remission. Greatest speed of weight loss - weight loss of up to 50% excess weight in six months. 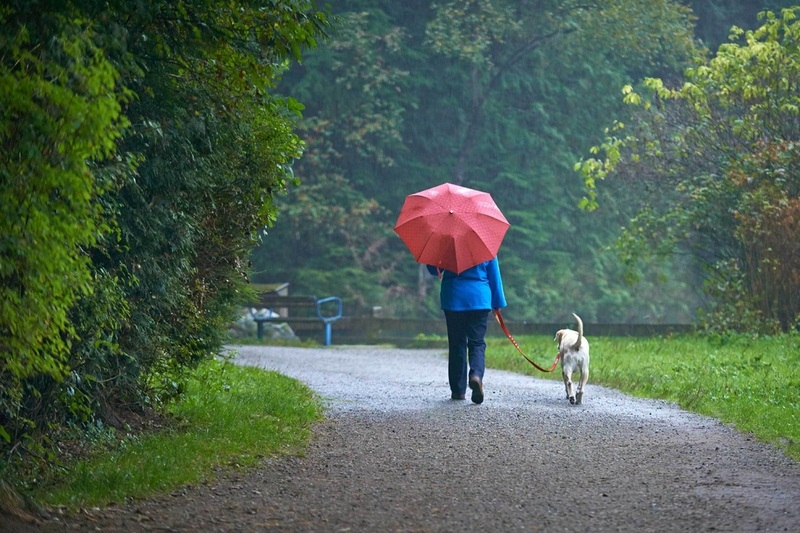 The weight tends to be maintained in 60-70% of patients up to ten years post-op. Remission of hypertension or high blood pressure. Weight loss decreases blood pressure. Remission of sleep apnoea. Weight loss will improve your sleep and reverse sleep apnoea. Requires a permanent change in diet and lifestyle. Gallstones - caused by rapid weight loss. Bile, released when you eat fat, builds up in the gallbladder when on a consistent low-fat diet. When bile is not released, stones form in the gallbladder, which then need to be removed. Dumping Syndrome: An outcome after eating foods too high in fat/sugar. There is a hormonal change, which causes the gut to move too quickly, causing diarrhoea, nausea, pain, cramps or reflux. Risks of not absorbing nutrients. Multivitamin supplementation is very important. Post-surgical complications are low but not to be discarded. Start your weight loss journey today, FOR GOOD, contact us today! A gastric sleeve is where the surgeon removes 2/3 of the stomach. This procedure also reduces appetite by removing cells that stimulate your hunger. These cells are called ghrelin and leptin. Ghrelin is responsible for driving hunger. Leptin is responsible to keeping hunger cues 'on'. When there is an abundance of fat, leptin - which is stored in the fat cells, become resistant to the hormones that try to switch it off. As a consequence, leptin is on all the time, driving hunger/appetite. This affects weight gain. 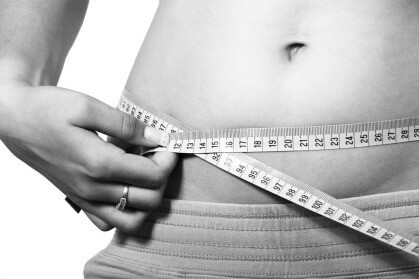 Removal of these cells is effective to prevent weight regain and promote weight loss. 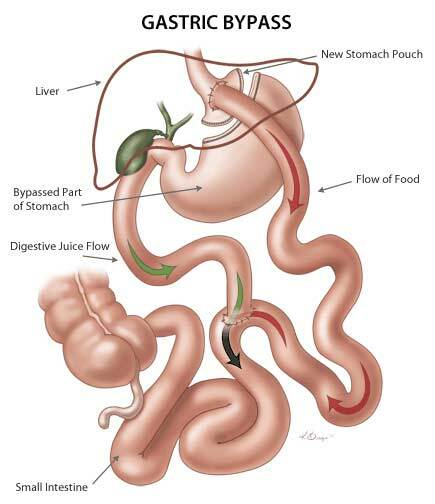 Figure 1: Gastric Sleeve Surgery Outline: The normal stomach (which is NOT enlarged in obese patients) holds about 1.5 litres of food. The stomach is reduced by removing the larger part of the stomach (see Figure 1). This large part of the stomach is removed completely. This leaves a small sleeve of the stomach that can only hold 150ml (1/2 cup). The stomach capacity is reduced by 70%. This means that you will not be able to eat as much as you used to. This procedure is restrictive and not malabsorptive. May reduce hunger - removal of the aforementioned cells cause hunger levels to decrease and fullness to increase. Shorter operating time than the gastric bypass. Does not affect the intestines. There is no re-routing of the intestines (which is seen in the bypass). No dumping syndrome. Dumping syndrome is an unpleasant side effect after eating foods too high in fat or sugar post gastric bypass surgery. It causes instant diarrhoea. It is uncommon after the gastric sleeve, as the stomach (pyloric) sphincter is intact. No adjustments required. The lap-band needs regular tightening/loosening. No foreign objects left in the body. The lap-band has a silicone band remaining in the body. Achievement of weight loss within 18 months. Permanent. Once the stomach is removed, it cannot be undone. Vitamin and Nutrient Deficiencies - only common if multivitamins are not taken as prescribed or a poor diet is followed. Surgical complications - staple line leak. Re-stretching of the stomach. Not making changes to your diet can cause an increase in the stomach size. Carbonated beverages and overeating are the main causes of this. To begin your journey with the gastric sleeve, contact us for an appointment today! 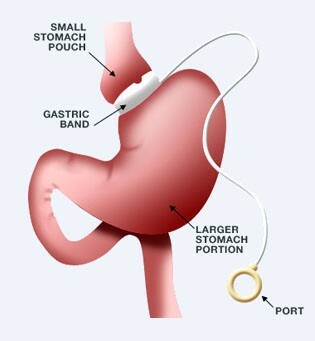 A gastric band is a plastic device held around the top of the stomach to restrict food that can enter the stomach. The device holds saline solution, which causes the restriction of the stomach. It decreases hunger by causing a stretching of the stomach above the band, which sends a message to the brain telling you that you are full – even if you had a small portion of food. ​A gastric band is a surgery that is done laparoscopically (using small incisions in the stomach), a band is introduced into the abdomen and secured around the stomach and sewn in place. It is made of silicon and Silastic. It has a balloon on the inner surface, which is connected to a tube and small port – under the skin. This lies on the top of you abdominal wall. In the port, your doctor will add or remove saline/salt water to increase or decrease the size of the stomach. The lap-band needs a significant change in your dietary habits. Please ensure that you are well aware of these changes before undergoing the surgery. An accredited practising dietitian will assist you in making these changes. To prepare for your lap-band surgery, contact us today! Bariatric Surgery? Is it for me? Weight loss surgery or bariatric surgery is gaining popularity with a 54% increase of procedures being undertaken in one decade(1997-2007). In 2007-2008, 17,000 bariatric surgeries were completed (1). Bariatric surgery is a tool for weight loss. It is not a ‘quick fix’. You cannot have this procedure and eat the same foods that led you to the weight you started at. Junk food has no place in your diet after the surgery. Bariatric surgery has a good success rate. Most patients lose 45-55% of their excess weight within 6-12 months. Excess weight is the weight you are carrying above a BMI of 25. For example for a person that is 170cm and 170kg, their weight at a BMI of 25 is 72.25kg. ​For this example, I would suggest that that person’s weight loss would be between 44-64kg within 6-12 months. You wouldn’t get this with a regular diet. This does seem like the answer, however you need to know that there are some nutritional concerns that are important to consider with this surgery – which I will discuss at a later date. Over the next few weeks, I will highlight the different types of surgeries, how they work and how they allow weight loss to be sustainable and permanent. I will review some elements of eating post-surgery and how to maintain your health/nutrition with these procedures. As a bariatric dietitian, I have specialised knowledge in this field to advise and assist those that have chosen to use bariatric surgery as their permanent solution to overweight. If you’re keen to learn more or schedule a consult with myself to talk about your issues with diet and bariatric surgery, contact my office. I’ve been really looking for high protein recipes as of late. I have a population of clients that have undertaken weight loss surgery. It is very important for these individuals to maintain an adequate protein intake, which is difficult with a smaller stomach. I advise a minimum of 60g a day of protein for these individuals. Most people enjoy an iced coffee. 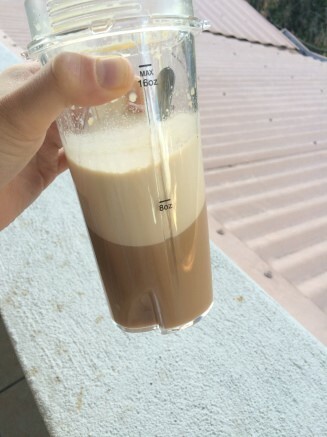 I have made a high protein iced coffee recipe, which I’m sure you would enjoy too. 1-2tsp of instant coffee dissolved in a small amount of hot water. Place the milk, protein powder, vanilla, xylitol, ice cubes and protein powder into a blender. (I use a NutriNinja for convenience). Yep, it’s that easy. You may like to add the ice cubes after you’ve blended (like I did), however if you like a frappe consistency – add the ice cubes. 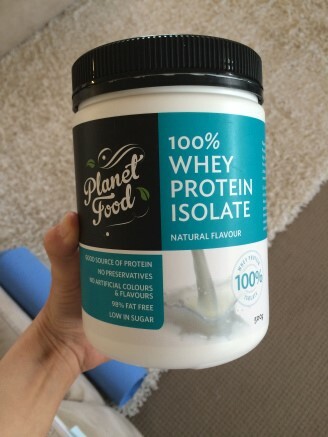 Note: You do not need to to choose this specific protein powder, however this is the one that I have found which is isolated protein without any additional sweeteners or different ingredients. You may need to adjust the recipe if there is sugar/flavours in your protein powder. Short Version? There is less junk! I’m pleased you’ve stumbled across my blog. 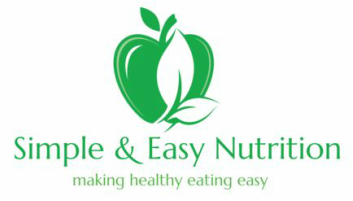 I understand that nutrition can be complicated, however my aim for the blog is to provide you with easy-to-understand nutrition tips and concepts that you can implement into your life. I thought I’d start my blog with a ‘get to know me’ section. I’ll give you a snapshot of who Suraya Nikwan is. Nationality: I’m Australian. 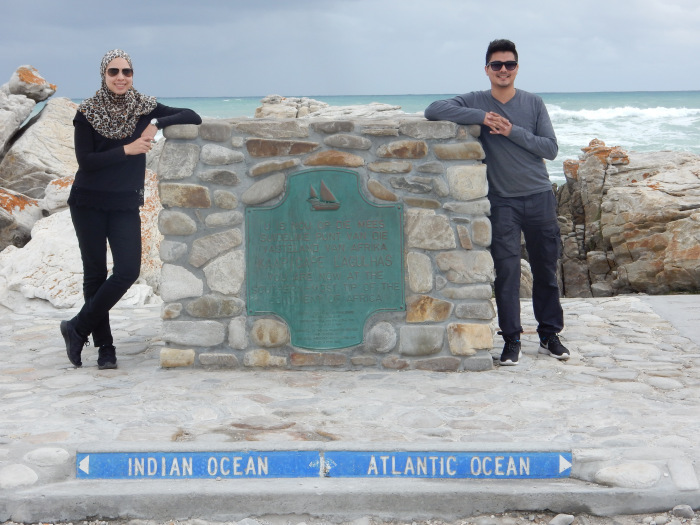 I was born in Australia (my mother is Australian) and my mixed look comes from my father, who is Malaysian. Degrees: Master of Nutrition and Dietetics (Research); Bachelor of Biomedical Science; Certificate III and IV in Fitness (Qualified Personal Trainer); Certificate II in Information Technology (means I can use a computer!). Top Five Favourite Foods? Peanut Butter, Bread, Spinach, Sprinkles and Strawberries. I also like slushies, churros and cinnamon on everything. 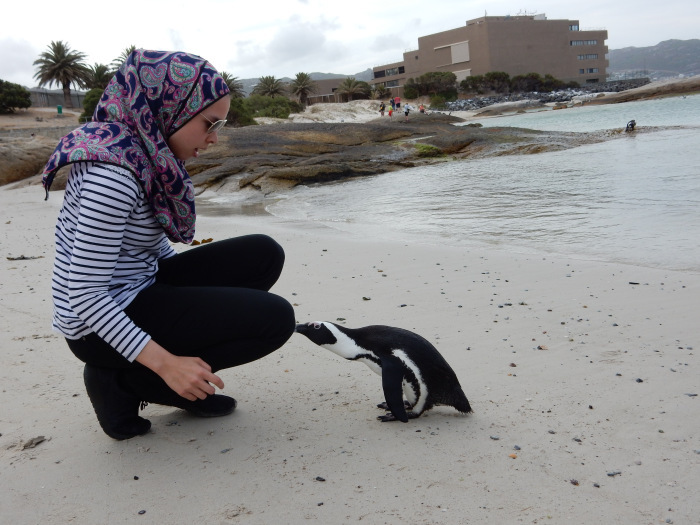 List Five Destinations I’ve Travelled to: Africa – (Cape Town, Johannesburg, Zimbabwe), Saudi Arabia, Fiji, Malaysia, Japan – Tokyo. Favourite Animal? Hippos and Penguins. Fitness: I’ve run two full half-marathons, with times 2:10 for the Gold Coast Half Marathon and 2:15 for the Sydney Herald Half Marathon. ​Like I said, this is just a snapshot of me. If you have any dietary concerns, I’d be more than happy to assist you. Do you have time for illness? Time to look at your health. Often, we say that we will get to things tomorrow, I’ll eat better tomorrow or the next meal. I’ll exercise tomorrow. No. You most likely will not do it tomorrow. Yesterday has finished and is in the past. Tomorrow may not come. You only have the present moment. My biggest aims with all clients is for them to implement healthy lifestyle changes that are consistent. This may include eating more vegetables, walking daily, reducing portion sizes, sleeping earlier, reducing alcohol consumption, having less ‘treat’ foods, avoiding soft drinks or drinking more water. I encourage you all to implement at least one healthy habit that is easy to change and is sustainable. If the habit isn’t sustainable, you’re less likely to continue it. For example, switching soft drink for soda water with lemon/lime juice or slices added. It’s the same type of drink (ie. carbonated) and you get a similar refreshing feeling – only you’re not adding in any additional chemicals or sugar into your diet. Task for Tonight/Today: Have a look at your current diet and lifestyle habits and make one sustainable change to improve your overall health. Suraya Nikwan (APD) provides short, concise and informative nutrition advice specific to bariatric surgery.